PYS medicin C1 is an exam of medical Swedish at a C1-level according to CEFR (Common European Framework of Reference for Languages: Learning, Teaching, Assessment), the level needed to apply for a Swedish medical license with Socialstyrelsen, The National Board of Health and Welfare. 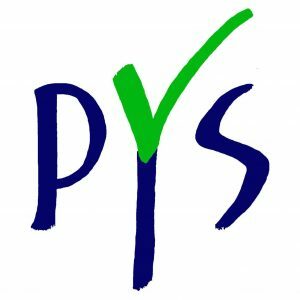 PYS is an exam for foreign medical professionals and is accepted by Socialstyrelsen as a proof of language skills for a Swedish professional license. Since August of 2017, PYS medicin is run by PYS validering AB, who will focus on the development and execution of the exam, plus preparatory online courses. Go to KLARAPYS.COM, the new website of the exam..
Any questions about the exam should be sent to info@klarapys.com. Do you need to improve your medical Swedish skills? 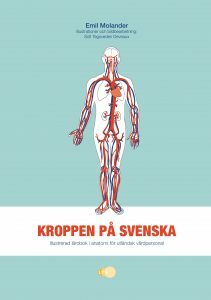 With the new Kroppen på svenska – illustrated work book of Swedish anatomy for foreign health care professionals, you'll be able to learn hundreds of useful words for your future career in Sweden.